this has been a hectic weekend with easter activities and the semester coming to an end. i can't wait til wednesday afternoon! this is a little casual outfit i put together quickly to go to my boyfriends bbq. i promise i will get back to all of your lovely comments from this post and last post as soon as i can! Love that little sweater! So cute! you looked soooo cute for the barbecue. kevin loved it! Your bun is so cute! This outfit is adorable. yes yes yes... this bun is absolutly gorgeous! stoooop being so gorgeous. it's really not fair. this outfit is awesome. i think i'm in love with your earrings. I love your hair in the bun! And I love your outfit!!! cute blog girlfriend, i'm loving your earrings! I love the big ballerina buns. 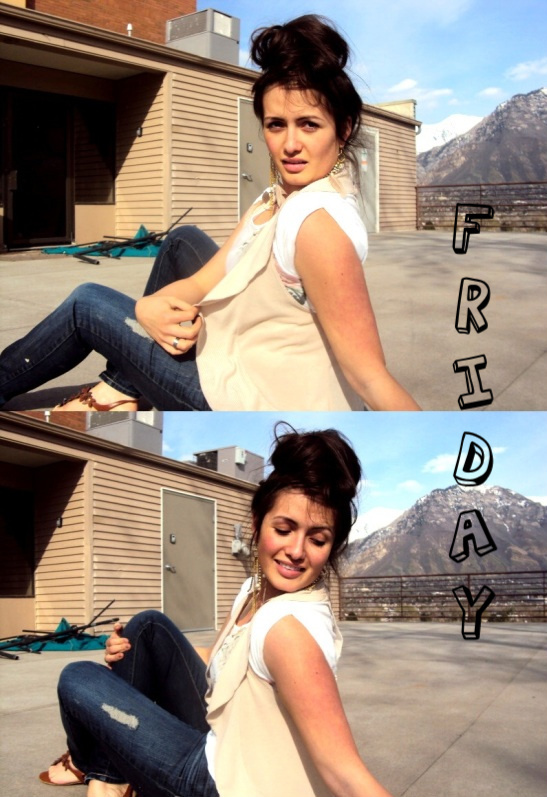 :) I miss being able to do that with my long hair (that is now short) haha! You look adorable! Love your top. Happy Easter to you too! That floral print is so great! I"m so glad I found your blog! LOVED this outfit girl! I am so bummed we didn't get to talk more at the get together! You look like Rose Byrne in the third picture! love the outfit! especially the earrings! What a cute outfit! I love those earrings. 1. Love the mountain background!! Here in lovely OK... it's flat!! 2. I love your bun!! I miss my long hair, because I would put it in a bun all the time!! Too cute! 4. Good luck with the end of the semester!! 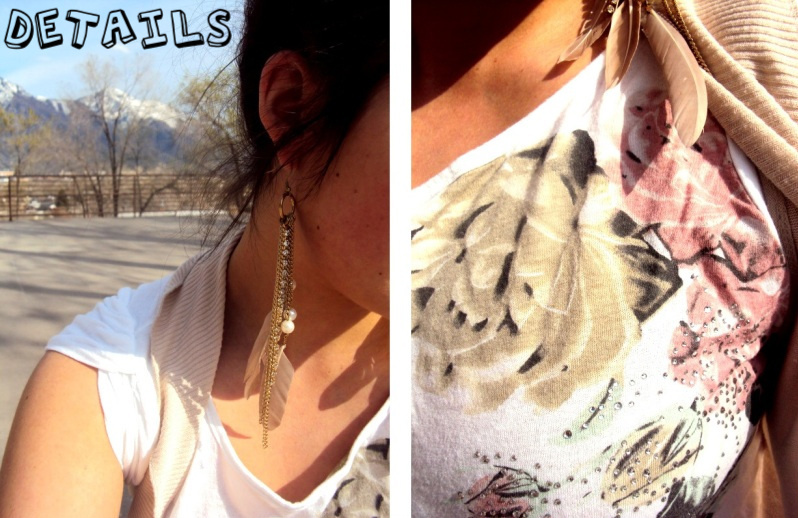 i love the feather earrings and top not! great look you have! you have perfected the high bun! Your hair is super cute and I love the whole oufit! So casual and cute! why is it that when you do a high bun, it looks fab-dabulous, and when i try it, it looks like a dead mouse (a runt mouse, at that) fell from the sky and landed on my head? i suppose that's a rhetorical question, and you don't have to answer it. but what i'm trying to say is, your hair looks fab. same for the earrings. Cecilia love! You are too darn cute! I love your hair like that! And your outfit is super cute! Sorry you've been so busy! I know how you feel girl. You have such a striking face i wish i could take a picture of you EVERYDAYYYYYY!! !